An aha moment is not just an idea; it can also be a positive or negative experience that gave you a temporary or lasting impression. I was recently hospitalized for 11 days. 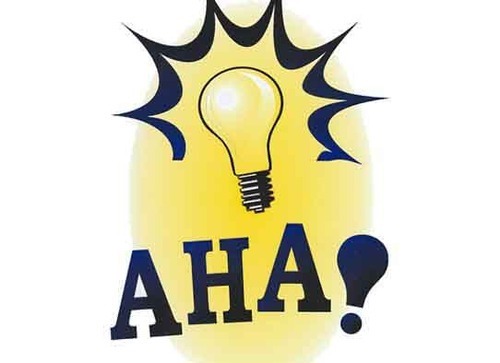 In those 11 days of inaction, there was so much action happening in my mind because aha moments are popping up everywhere. I suddenly started caring more about my health. I suddenly felt so blessed with my wife who took care of me and was there all the time. I suddenly realized that even the mere act of just standing up and walking is a gift from God (I couldn’t walk for almost a month). Keep your Aha moments in a journal so you won’t forget. Writing it down helps you reflect on them longer so that it gives you a deeper understanding and appreciation of that Aha moment. They say that one idea can change your life. I believe the same can be said of having one AHA! Moment.